Datuk Azhar Ibrahim Perlu Bertaubat Dan Mengakui Kebenaran Bahawa PERDA Hanya Bersetuju Menambah Pembinaan 120 Yunit Rumah Kos Sederhana Rendah Di Sungai Batu Dan 100 Yunit Rumah Kos Rendah Di Teluk Bahang Selepas Desakan Kerajaan Negeri Pulau Pinang. Ketua Pembangkang DUN Pulau Pinang Datuk Azhar Ibrahim perlu bertaubat dan mengakui kebenaran bahawa Lembaga Kemajuan Wilayah Pulau Pinang(PERDA) hanya bersetuju menambah pembinaan 120 Yunit rumah kos sederhana rendah di Sungai Batu dan 100 Yunit rumah kos rendah di Teluk Bahang selepas desakan kerajaan negeri. Syarat ini dikenakan sebelum kelulusan projek mewah PERDA boleh dipertimbangkan diluluskan atas prinsip kerajaan berjiwa rakyat yang membela nasib orang bawah. 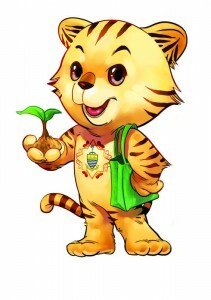 In our efforts to reshape Penang into the first “green” state in Malaysia, the Penang State Government launched a “No Plastic Mondays” initiative in July 2009. Based on the data provided by 45 super/hypermarkets and other participants, it is estimated that Penangnites have reduced plastic bags consumption by more than one million in four months from the “No Plastic Mondays” campaign since July 2009. For those consumers who insist on plastic bags, they will be required to contribute 20 cents per plastic bag as a form of donation to the Penang State government “Partners Against Poverty” Fund to wipe out hard-core poverty in Penang. To date, we have also collected RM 21,403 from the charges of 20 cents per bags for the Partners Against Poverty Fund. Sekiranya RM 628 Juta Untuk Sebuah Pusat Pameran Dibolehkan Mengapa Kerajaan Pusat Tidak Memperuntukkan Sekurang-kurangnya RM 10 Bilion Untuk Mengatasi Masalah Banjir. Dengan penuh rasa rendah diri, saya mengucapkan selamat menyambut Hari Raya Aidil Ad’ha serta selamat menyempurnakan ibadah haji kepada semua umat Islam di Malaysia. Saya berasa amat sedih kerana ada antara kita yang terpaksa menyambut hari yang mulia ini dengan keadaan serba kekurangan dan daif berikutan banjir besar di Kedah, Perak, Kelantan, Terengganu dan Pahang. Saya berharap ribuan rakyat Malaysia yang terpaksa dipindahkan kerana banjir supaya bersabar dan cekal menghadapi bencana alam ini. I wish to warn UMNO-controlled papers to stop their cunning and conniving tactics with BN to continuously defame me by ignoring my explanation and printing lies that I had indeed mislead the Penang State Assembly on the PHH issue. The refusal of UMNO-controlled papers to print my explanations demonstrates not only a fear of the truth but also an abuse of their powers to willfully target Pakatan Rakyat leaders by undermining our credibility. On the PHH issue, I had explained that Pulau Betong assemblyman Muhammad Farid Saad had asked whether there had been any land conversions to freehold status for government land for development purposes during the period from April 2008 to June 2009. There was no government land converted to freehold status as PHH is no longer state or government land, but owned 51% by YTL Hotel & Properties Sdn Bhd(YTL H&P) with PDC holding only 49%. For the UMNO-controlled papers to persist in insisting that I had misled the Penang State Assembly is a bare-faced lie. Penukaran Pegangan Tanah Hak Milik Kekal PDC Heritage Hotel Sdn Bhd(PHH) Bukan Sahaja Menambah Hasil Tanah Kerajaan Negeri Sebanyak RM 8,216,751.38 Tetapi Juga Melindungi Kepentingan Awam Dengan Memastikan Garispanduan Warisan Dipatuhi Dan PHH Tidak Dikuasai Swasta Tetapi Dikongsi Bersama Kerajaan. Chief Minister Lim Guan Eng has lashed out at a senior civil servant overseeing the federal government’s development projects in Penang over the latter’s “threats” regarding allocations meant for the state. Lim said the actions of the Penang State Development Office (SDO), which comes under the Implementation Coordination Unit of the Prime Minister’s Department, was tantamount to sabotage. Press Statement By Cheong Yin Fan Press Secretary To The Penang Chief Minister Lim Guan Eng In Georgetown On 18.11.2009. I am directed to refer to erroneous statements made by BN and Gerakan that deliberately distorts the stand taken by Penang Chief Minister Lim Guan Eng in seeking to declassify decisions of EXCO and Land Committee minutes this Friday relating to the land conversion of Penang Heritage Hotel Sdn Bhd(PHH) land to freehold status. Instead of welcoming the efforts to declassify the decisions made, Gerakan had chosen to criticise this effort by asking why minutes relating to Kampung Buah Pala were not revealed and declassified. I wish to reiterate Penang Chief Minister Lim’s assertions that in declassifying minutes, only decisions made will be revealed and not the points raised by EXCO members during meetings. To expose all that was said would be unfair to some EXCO members, especially to ex-officio EXCO members who were carrying out their duty as public officers. In focusing only on decisions, there were indeed several decisions made by this PR state government on PHH. Penang’s UMNO is running scared following the decision by Penang Chief Minister Lim Guan Eng to declassify decisions made by the Penang State EXCO and Land Committee minutes on PDC Heritage Hotel Sdn Bhd (PHH) status following UMNO false and baseless attacks to try to undermine the Pakatan Rakyat state government’s credibility. Instead of welcoming this declassification in line with the state government’s CAT principles of competency accountability and transparency, Pulau Betong assemblyman Muhamad Farid Saad is not interested but continues to harp on false allegations whether Lim had lied. Mesyuarat Exco Pada Jumaat Ini Akan Diminta Untuk Mendeklasifikasi Rahsia Minit Mesyuarat Exco Dan Jawatankuasa Tanah Berkaitan Dengan Keputusan Yang Dibuat Ke atas PDC Heritage Hotel Sdn Bhd. Mesyuarat EXCO pada Jumaat ini akan diminta untuk mendeklasifikasikan rahsia minit mesyuarat EXCO dan Jawatankuasa Tanah berkaitan dengan keputusan yang dibuat ke atas PDC Heritage Hotel Sdn Bhd(PHH). Pendedahan minit mesyuarat berkaitan dengan keputusan akan berikan gambaran jelas tentang tujuan sebenar penukaran hak milik PHH kepada hak milik kekal dan juga sikap berani kerana benar kerajaan Pakatan Rakyat. The Penang state government is not as irresponsible as Gerakan in making empty promises that would jeorpardise our credibility and may even incur financial losses to compensate the investor for guarantees not fulfilled. Penang Gerakan Chairman Dato Dr Teng Hock Nan should prove his sincerity in wanting to co-operate with the state government by telling the Federal government to stop discriminating against Penang people and refusing to give equal treatment as other states in terms of grants, taxes or airport charges. Instead he continues to blame the Penang Chief Minister Lim Guan Eng for not daring to guarantee 1,000 electrical and electronic and causing Penang to lose out in a USD 3 billion investment last year. Teng had said that the USD 3 billion investment would be helpful as MIDA reported that Penang received RM1.67 billion investment as at the third quarter this year, a number eight times lower as compared to 2008 investment of RM10.15 billion. The Human Resources Minister Datuk Dr S. Subramaniam should not be in denial mode by expressing puzzlement at the shortage of electrical and electronic engineers(E&E) in the country when this shortage is an open secret in the industry. Penang Chief Minister Lim Guan Eng had boldly spoken in Parliament on 26.10.2009 to take pro-active measures to train more E&E engineers to redress this shortage. Lim also said that Penang lost a USD 3 billion foreign investment when he could not guarantee 1,000 E&E engineers required by the company. The Parliament Hansard on that day clearly proves that Lim had said 1,000 E&E engineers and not just 1,000 engineers as claimed by irresponsible BN leaders who wanted to attack Lim with lies. Hu Jin Tao & A China Transformed! As Malaysia welcomes the visit of China’s President Hu Jin Tao on 10-11 November, no one needs to be reminded how critically important China is both to Malaysia and China when President Jiang Ze Min last visited 15 years ago. China’s successful staging of the most impressive Olympics ever in 2008, her sporting prowess, huge engineering feats of the Three Gorges Dam or the 1,142 km highest railway track in the world and her space exploits all pale into insignificance compared to her USD 2.3 trillion in foreign reserves and economic achievements. Penang Chief Minister YAB Lim Guan Eng will lead a trade delegation of state officials to visit Bahrain on 7th till 9th November 2009. This delegation will attend the 2nd Annual Urban Waterfronts Conference as well as to explore investment opportunities in Bahrain.